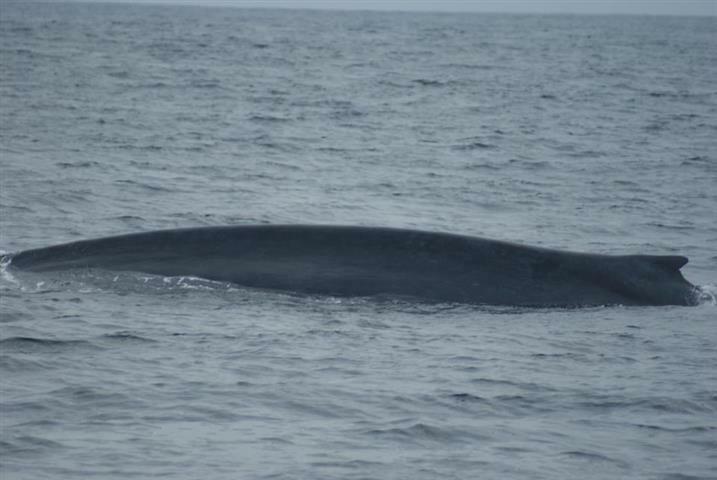 Animals take many shapes and forms and come in a great diversity of sizes, from microscopic to the 30 m long blue whale! Whether you measure in terms of weight, height or length, there is no denying some animals are huge in comparison to others in their class. Hiding in the undergrowth of African tropical forests, Goliath Beetles take the top spot as the heaviest insect in the world! 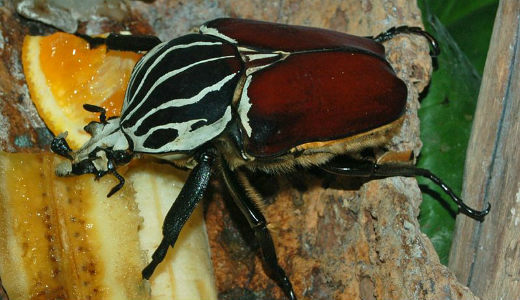 They weigh up to 3.5 ounces (100 g), grow to a length of 4.5 inches (11.5 cm) and are brown/black/white in colour. 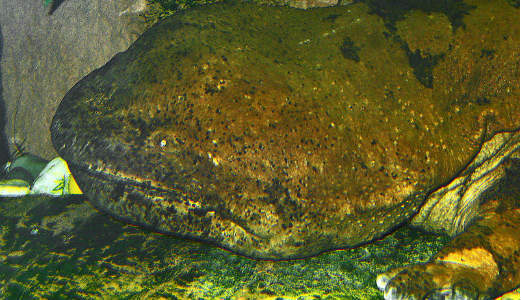 The Chinese Giant Salamander is the largest living amphibian, weighing up to 140 lbs (64 kg) and growing to a length of 6 ft (1.8 m) long. Having changed little from their ancestors, they are known as living fossils, but despite their fascinating nature, they are endangered and rare in the wild. 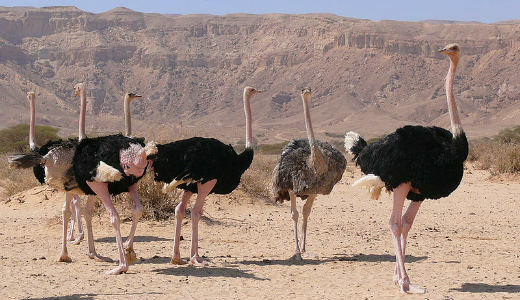 The Ostrich is the largest living bird, with a height of 9 ft (2.7m) and weight of 344 lbs (156 kg), and at 1.9 in (5 cm) in size, their eyes are the largest of all land mammals. They don’t have teeth and can survive without water for days as they can make their own water internally and extract the rest from the vegetation they eat! 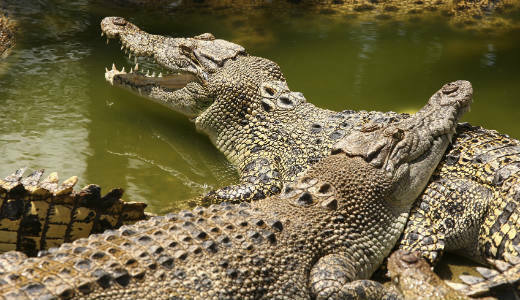 The largest living reptile is the Saltwater Crocodile, growing to an average length of 17 ft (5.2 m), although they can reach 21 ft (6.3m) in length and weigh up to 21 US tons (1,900 kg). They are distributed widely in brackish and fresh waters in parts of India, Asia and Australia and feed on all animals they can get their teeth in to, which includes sharks if they get the chance. 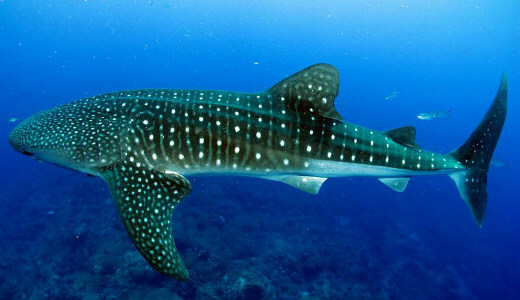 Heading underwater, the largest living fish is the 40 ft (12 m) long Whale Shark. Weighing up to 24 US tons (22 tonnes), they are an impressive sight, but despite their size, they feed mostly on tiny plankton. Present in tropical seas around the world, whale sharks are considered venerable and are hunted in some areas. The position of largest living land carnivore is shared between Brown Bears and Polar Bears. Weighing a whopping 907 kg (1 ton) and reaching up to 10 ft (3 m) tall when standing on their hind legs, they’ve definitely earned their spot as the biggest. While you’ll find Brown Bears in the forests and mountains of North America, Europe and Asia, you need to head further north to the Arctic Circle to catch a glimpse of Polar Bears, who split their time between the sea and ice and feed mostly on seals. 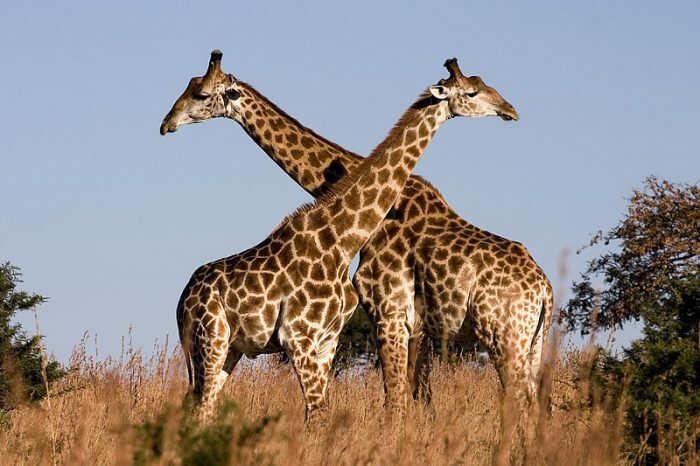 At a height of 19 ft (5.8 m), the Giraffe is the tallest living animal on earth; the neck alone is 6 ft (1.8 m) tall. At home in grasslands of East Africa, they feed mostly on vegeatation high off the ground, using their long prehensile tongues to pull young shoots and leaves from the trees. Babies are born after a 15 month gestation period and are already 2 m tall! The largest living land animal is the African Elephant which can weigh up to 6,350 kg (7 tons); they typically grow to 35 ft (10.6 m) from trunk to tail and have a shoulder height of 13 ft (4.2 m). 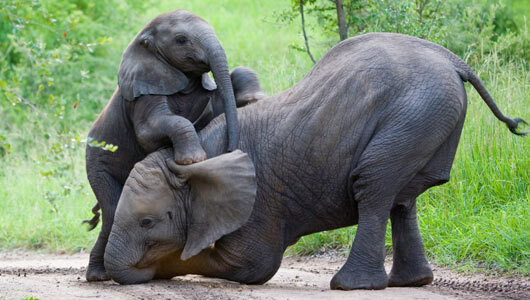 There are at least two species, the savanna elephant and the forest elephant, and they currently cited as venerable in the IUCN Red List of Threatened Species. The size of the colossal squid is often exaggerated, with viral posts on the internet saying they can reach 60 ft (18 m) or even 90 ft (27 m) in length! 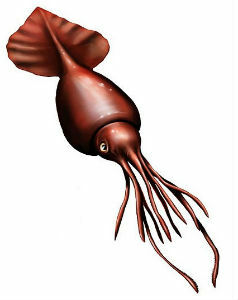 However, the largest squid documented was 45 ft (14 m) long. They have the largest eyes in the animal kingdom, reaching 10 in (25 cm) in diameter! The Blue whale is the largest animal of all time, reaching a weight of about 198 US tons (180 tonnes) and a length of 98 ft (30 m). Their tongues alone can weigh as much as an elephant and their hearts as much as a car, yet they survive by eating a diet rich in tiny plankton.